آغاز کار بنیاد گیتس را سال ۲۰۰۰ معرفی می‌کنند اما واقعیت این است که او با هدایت راکفلرها، بنیادش را با هدف کنش در عرصه غذا و واکسیناسیون در سال ۱۹۹۴ میلادی تأسیس کرد، سپس با طی کردن مراحلی، به جایگاهی قابل توجه در عرصه سلامت و کشاورزی دنیا دست یافت. اشاره | پس از بررسی مبسوط متدهای گردش قدرت میان ابرکمپانی‌داران آمریکایی طی دویست سال اخیر، کنشهای یک قرن گذشته‌ی مؤثرترین این کمپانیها در حوزه جمعیت و غذا – بنیاد راکفلر – به تفصیل بررسی شد. در ادامه به نقش بنیادهای خوش‌نام و همکار راکفلر رسیدیم که «بنیاد بیل و ملیندا گیتس» از آن جمله بود. در این گزارش یکی از کنشهای اساسی بنیاد گیتس در حوزه کشاورزی، غذا و واکسیناسیون که بصورت مخفیانه توسط بنیاد راکفلر راه‌اندازی و هدایت شده را برای اولین بار معرفی خواهیم کرد. گزارش زیر نشان‌دهنده متأثر بودن بیل گیتس از بنیاد راکفلر است که جای بسی شگفتی دارد. سایت بنیاد راکفلر این برنامه‌ها را در ادامه برنامه‌های خود می‌داند که از ابتدای قرن بیستم آغاز شده بود. +اطلاعات بعدی نشان می‌دهد پیش از ۱۹۸۰، راکفلرها این برنامه را به سازمان بهداشت جهانی سپرده بودند؛ این سازمان در سال ۱۹۸۰ این برنامه را آغاز کرد، اما راکفلرها تلاشهای این سازمان فراملی را کافی ارزیابی نکرده و در فاصله کوتاهی مجاب شدند که خود باید در رأس این برنامه قرار بگیرند. حتی تاریخچه خود سایت «بنیاد بیل و ملیندا گیتس» نیز از سال ۱۹۹۷ عقب‌تر نمی‌رود، و آغاز کار را «متأثر شدن خانواده گیتس از مقاله‌ای درباره سلامت مردم فقیر دنیا» معرفی می‌کند؛‌ در حالی که تاریخچه سایت راکفلر از ورود رسمی گیتس‌ها به این برنامه لااقل از ۱۹۹۴ پرده بر‌می‌دارد. این تضاد بین روایتها، به‌وضوح نشان می‌دهد برنامه مشارکت گیتس از مدتی قبل از ۱۹۹۴ آغاز شده بود. در بخش سازمان سایت «گاوی» اثری از راکفلرها نیست! سرعت بخشیدن به استفاده از واکسنهای نامطلوب و جدید. تقویت سیستمهای بهداشتی که واکسن را ارائه می دهند. افزایش بودجه برای واکسیناسیون و ایجاد چنین برنامه‌هایی پایدار است. در ادامه‌ی پرونده به برنامه مشترک راهبردی دیگری از بیل گیتس و بنیاد راکفلر در موضوع کشاورزی و غذا خواهیم پرداخت. – It is estimated that each year 1.7 million children die from diseases that could be prevented through immunization. 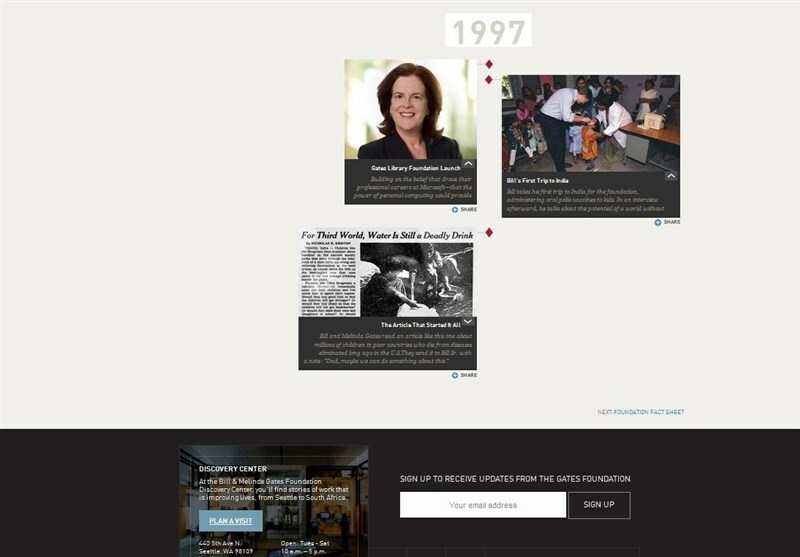 Campaigns to vaccinate all of the world’s children against fatal childhood diseases have been an ongoing initiative of the Rockefeller Foundation (RF) since 1985. Although much work remains, the combined efforts of the RF and other major international organizations have had a profound impact on the health of children world-wide. – RF’s global efforts to provide childhood vaccines began in 1984, following an international meeting at the RF conference center in Bellagio, Italy, on the protection of the world’s children. International delegates from the fields of medicine, government and philanthropy met to discuss the concept of a global immunization program for children as one means of providing primary health care and reducing mortality among children in the developing world. – The World Health Organization (WHO) had already initiated the Expanded Program on Immunization (EPI) in 1980; however, in later years, the program had suffered from financial constraints. The Bellagio meeting resulted in hundreds of millions of dollars in funding allocated to the EPI. As a result immunization rates rose to 80% in some places, saving millions of lives. However, by 1990 donor fatigue had set in, and the spectacular success of the mid-1980s could not be repeated. The problem of childhood immunization required new ideas. – در ادامه به «مدل نهایی» آنها نیز خواهیم رسید. – The Children’s Vaccine Initiative (CVI), begun in 1990, represented one such idea. The CVI was a collaborative effort between the United Nations Development Programme (UNDP), the United Nations Children’s Fund (UNICEF), the WHO, the World Bank, and the RF, working with private and public partners that included government agencies, scientists and vaccine manufacturers. CVI served as an early model of a private-public partnership. – The ultimate goal of CVI was the creation of a one-dose oral vaccine that could be made easily available to children in the developing world. The ideal vaccine would protect against major childhood diseases and be easily administered to infants. Vaccines to be deployed in the developing world also had to be easily transportable and be able to maintain effectiveness without the benefit of refrigeration. Enhancing vaccine production and quality control, and ensuring vaccine availability world-wide. – As a major sponsor of the CVI, the RF made a significant financial contribution toward its goal. In 1994 and in 1995, the RF allocated $1.3 million and $1.2 million, respectively, in order “[t]o support vaccine research programs and other activities related to the development and distribution of developing country children’s vaccines.” Yet, in spite of such contributions, CVI still confronted financial shortages. 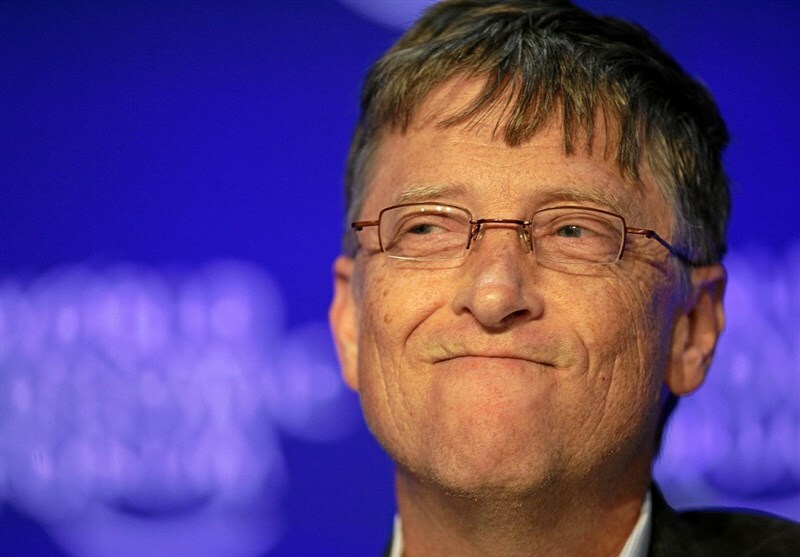 – The Bill and Melinda Gates Foundation was formed in 1994, and one of its earliest goals centered on global immunization efforts. Publicity surrounding the new foundation and its funding agenda renewed attention on the issue and brought new funding opportunities. A World Bank Summit held at Bellagio in 1999 included senior staff of the RF, the Gates Foundation, WHO, World Bank and UNICEF. Participants concluded that a new organization, more closely linked to its funders, needed to replace the CVI. 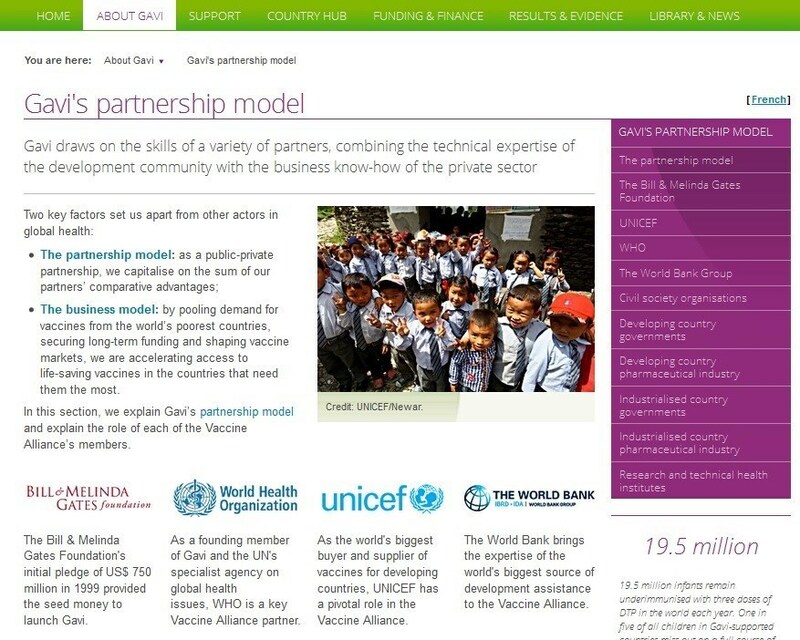 From this idea emerged the Global Alliance for Vaccines and Immunization (GAVI) in 2000. 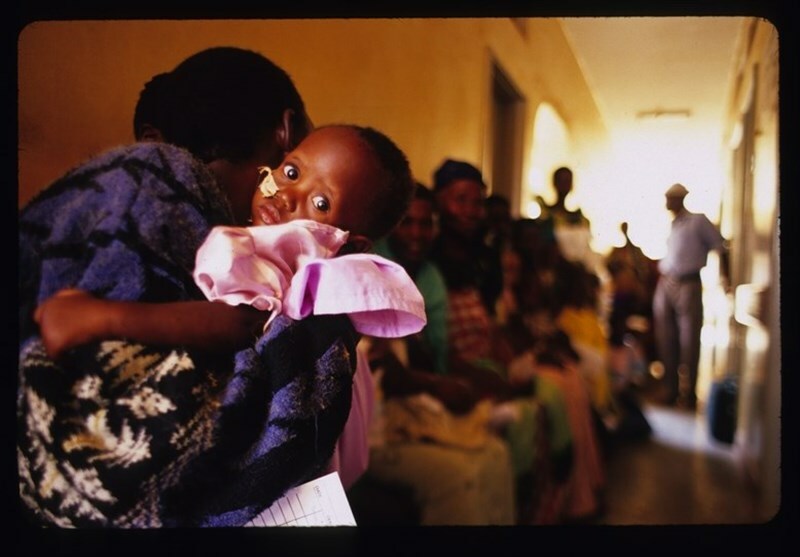 – The RF remains a committed sponsor of GAVI. As part of RF’s ongoing Health Equity Initiative, the organization has appropriated grants for new vaccine research, the study of vaccine delivery and stabilization methods, and the promotion of collaboration through meetings, consultations and public/private partnerships. Shaping vaccine markets, so that vaccines remain affordable and appropriate for the world’s neediest. – Following an RF model begun early in the 20th century with the hookworm campaigns, GAVI requires the full cooperation of governments that choose to participate in the program. Commitment includes creating committees that can coordinate the work of NGOs as well as government and United Nations agencies and local vaccine manufacturers. کشف داروی سقط جنین در ترکیبات واکسن‌های بیل گیتس!! !